The American space agency NASA says the moon will move into the Earth's shadow on Friday night. For four hours, it will be partly in the Earth's shadow. The total eclipse will last 1 hour 42 minutes and 57 seconds. The eclipse will turn the light color of the moon to deep red. Scientists call this kind of moon a "blood moon." Andrew Fabian is with the University of Cambridge. He spoke with the Reuters news agency. 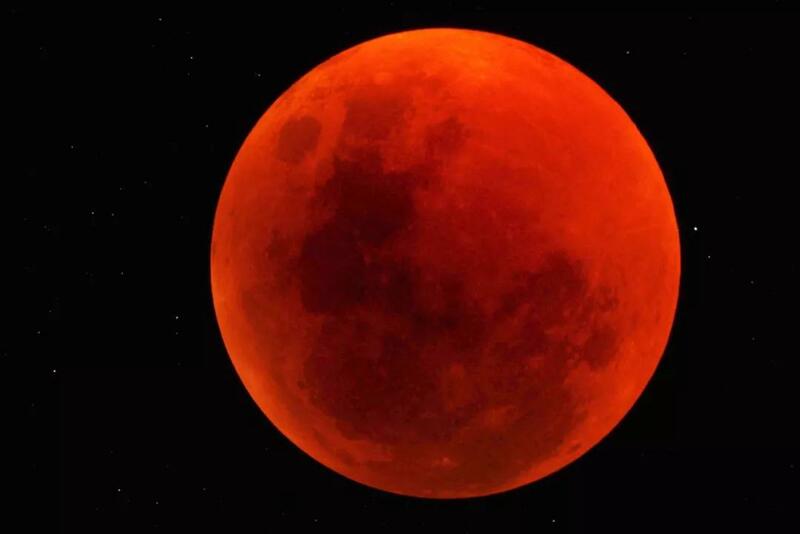 "It's called a blood moon because the light from the sun goes through the Earth's atmosphere on its way to the moon and the Earth's atmosphere turns it red in the same way that when the sun goes down, it goes red." Lunar eclipse occurs when the earth's shadow falls on the moon. He would like an assurance that other forces will not move into the territory that his forces vacate. The time when a solar eclipse will occur can be calculated. They shall all perish beneath the blood moon. 5.On the same day as the eclipse, the planet Mars will be at its brightest as it travels close to Earth. I was amused to find that he and I were born on the same day. 6.The longest lunar eclipse of the century will happen late Friday or early Saturday, depending on where you live. People experience differences in physical and mental capability depending on the time of day.